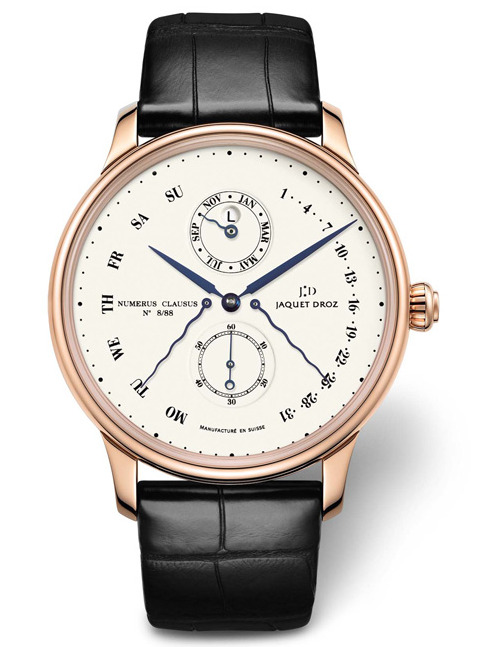 This watch is also known as: J008334210 , J008334210-SD . 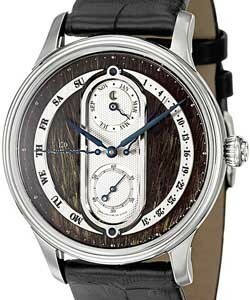 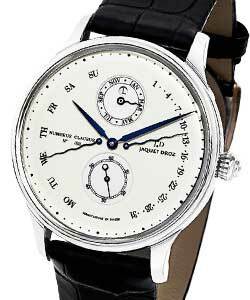 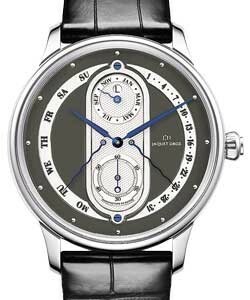 Jaquet Droz "Perpetual calendar" White Gold Men's watch. 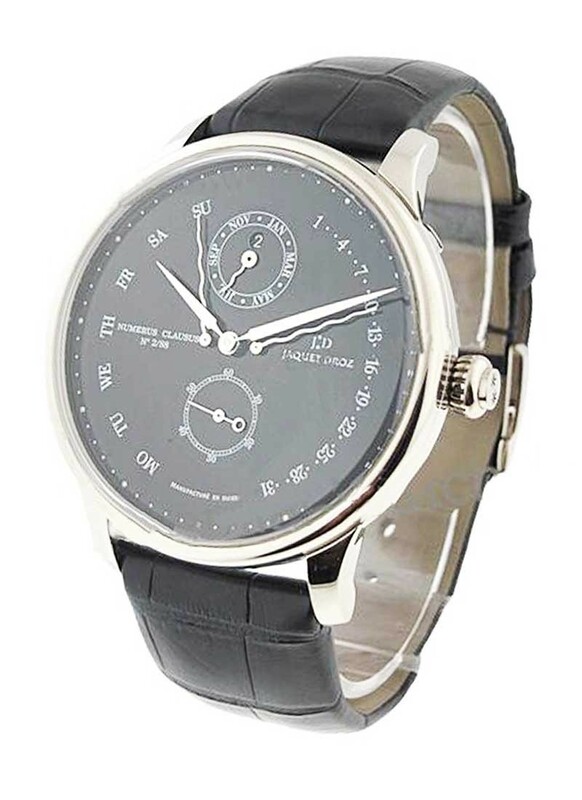 This simple yet very elegant dress watch Jaquet Droz Perpetual calendar Ref No:J008334203 features a Black,silver dial with Automatic movement.Excellent Round shape White Gold Case.Alligator Strap.Polished, White Gold Bezel. 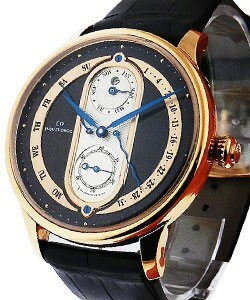 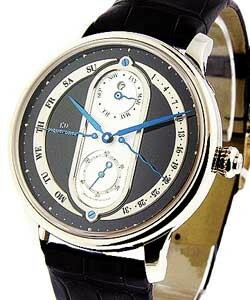 Jaquet Droz Perpetual calendar features are Leap Year, Retrograde Date, Retrograde Day and Water Resistant(m) to 30 M.